Start off your visit on the 11th (Tue): don't miss a visit to Pantheon, ponder the design of Trevi Fountain, then make a trip to Roman Forum, then delve into the distant past at Palatine Hill, and finally explore the ancient world of Colosseum. Here are some ideas for day two: get to know the fascinating history of Piazza Navona, pause for some serene contemplation at Church of St. Louis of the French, then admire the masterpieces at Vatican Museums, and finally contemplate the long history of St. Peter's Basilica. To see where to stay, more things to do, traveler tips, and tourist information, use the Rome trip itinerary site . Atlanta, USA to Rome is an approximately 13-hour flight. You can also do a combination of flight and train. The time zone changes from Eastern Standard Time to Central European Time, which is usually a 6 hour difference. Expect little chillier evenings in Rome when traveling from Atlanta in June, with lows around 65°F. Finish your sightseeing early on the 12th (Wed) so you can take a train to Florence. Kick off your visit on the 13th (Thu): don't miss a visit to Piazza della Signoria, take in the spiritual surroundings of Cathedral of Santa Maria del Fiore, then explore the world behind art at Uffizi Galleries, then take in the views from Ponte Vecchio, and finally see the interesting displays at Academy Of Florence Art Gallery. On the 14th (Fri), you'll have a packed day of sightseeing: steep yourself in history at Loggia dei Lanzi, appreciate the extensive heritage of Piazza del Duomo, enjoy breathtaking views from Campanile di Giotto, admire the masterpieces at Pitti Palace, then take some stellar pictures from Piazzale Michelangelo, and finally admire the natural beauty at The Boboli Gardens. For traveler tips, more things to do, reviews, and other tourist information, read our Florence tour itinerary site . You can take a train from Rome to Florence in 2 hours. Alternatively, you can drive; or fly. In June, daily temperatures in Florence can reach 83°F, while at night they dip to 65°F. Finish your sightseeing early on the 14th (Fri) so you can take a train to Venice. Start off your visit on the 15th (Sat): pause for some serene contemplation at Basilica di San Marco, don't miss a visit to St. Mark's Square, then see the interesting displays at Doge's Palace, and finally explore the activities along Canal Grande. To find more things to do, where to stay, maps, and other tourist information, use the Venice online holiday planner . You can take a train from Florence to Venice in 2.5 hours. Alternatively, you can drive; or take a bus. In June, daytime highs in Venice are 81°F, while nighttime lows are 63°F. Wrap up your sightseeing on the 15th (Sat) early enough to travel to Zurich. On the 16th (Sun), take your sightseeing to a higher altitude at Mt Pilatus, pause for some photo ops at Lion Monument, then contemplate the waterfront views at Lake Lucerne, and finally take in the architecture and atmosphere at Grossmunster. On the 17th (Mon), you'll have a packed day of sightseeing: take a stroll through Old Town (Altstadt), then contemplate in the serene atmosphere at Fraumünster Church, and then contemplate the waterfront views at Lake Zurich. To find photos, where to stay, traveler tips, and more tourist information, refer to the Zurich trip itinerary app . Getting from Venice to Zurich by flight takes about 3.5 hours. Other options: drive; or take a train. Plan for little chillier temperatures traveling from Venice in June, with highs in Zurich at 74°F and lows at 55°F. Wrap up your sightseeing on the 17th (Mon) to allow time to drive to Interlaken. 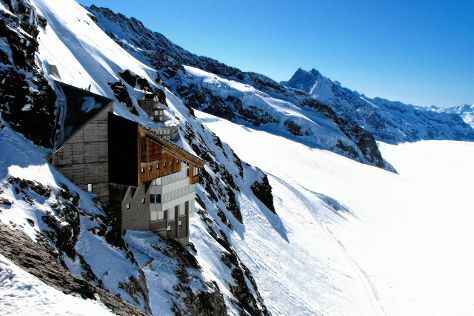 On the 18th (Tue), take a tour by water with Boat Tours & Water Sports and then get great views at Jungfraujoch. On the next day, take your sightseeing to a higher altitude at Harderkulm, admire the sheer force of Trümmelbachfälle, and then fly like a bird with a parasailing or paragliding tour. To see photos, where to stay, maps, and other tourist information, use the Interlaken online route maker . Traveling by car from Zurich to Interlaken takes 2 hours. Alternatively, you can take a shuttle; or take a train. In June, daily temperatures in Interlaken can reach 72°F, while at night they dip to 53°F. 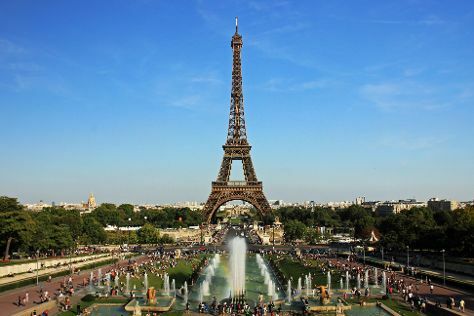 Cap off your sightseeing on the 19th (Wed) early enough to travel to Paris. Take a break from Paris with a short trip to Disneyland Paris in Marne-la-Vallee, about 40 minutes away. There's much more to do: explore and take pictures at Eiffel Tower, head off the coast to Île de la Cité, admire the landmark architecture of Louvre Museum, and explore the world behind art at Musee d'Orsay. You can do a combination of train, bus, and flight from Interlaken to Paris in 5.5 hours. Other options are to take a train; or drive. In June, plan for daily highs up to 74°F, and evening lows to 55°F. Finish up your sightseeing early on the 22nd (Sat) so you can travel back home.